Learn more about the construction industry with Raken's videos, eBooks, webinars, and more. 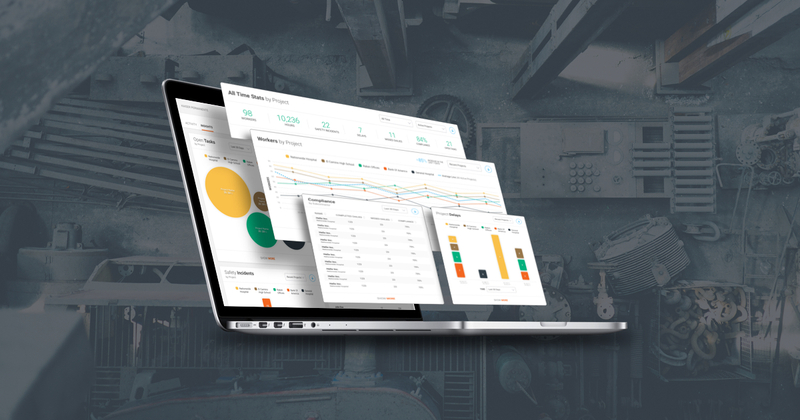 Discover how a young mechanical contractor uses Raken daily reports to get an edge on the competition. See how San Jose's premier home renovator uses Raken to impress clients and smooth communications. Tyler Guith, General Superintendent of Alta Construction, talks about the transparency Raken provides for the clients and the money it saves them in this case study video. Dominic Daughtrey, Continuous Improvement Program Manager, and Dave Storvis, Project Superintendent, at Sundt about how Raken helps them do what they do better in this video. Sam Bacon, Manager of Green Circle Demolition, takes us through how they use Raken for customizable safety surveys, time cards, and communicating with owners. Don Mason, Vice President of Construction at Tri State General Contractors, tells us how they have given their employee's an hour back in their day with Raken. John Albert, the founder of Unified Building Group, cuts through the mess of inaccurate labor reporting and wins more business with Raken. David Whitt, Project Engineer with Swinerton Renewable Energy, tells the story of how he uses Raken to save time increase report compliance. Barbara Tavares, a Sr. Construction Manager for RHSI Engineering and Project Management, has saved her firm thousands of dollars with Raken. Rich DeLacy, project superintendent with Hensel Phelps, tells the story of how he streamlined documentation on a $173 million project with Raken. 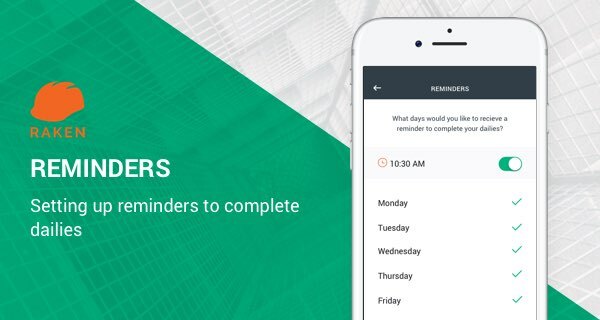 Learn how to set reminders to complete your daily reports and never forget about them again.